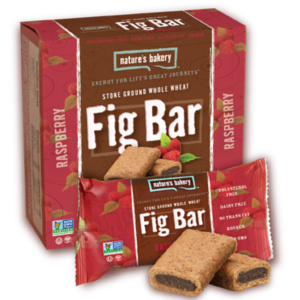 The one glaringly bad review of Nature's Bakery Fig Bars was a report (and a picture) of moldy product. When contacting customer support, they sent out another package. However, the reviewer noticed more from the original pack was moldy. The bad new is the mold. The good news is mold is proof there's nutrient in the product. It's rare to buy fresh oranges and not get a few moldy ones. Just remember to use common sense and be aware of what you're eating. Though these are the big three retailers, they are each slightly different. So the assumption for Amazon and Jet is that free shipping. I negate the price of driving to Costco because I already go on a weekly basis, regardless of if I plan on buying Nature's Bakery Fig Bar or not. And the Price/Unit is not 100% accurate, as the Costco pack comes in 3 flavors (which have different prices). For the sake this comparison, I took the lowest price regardless of fig flavor. So based on this quick search, it looks like Costco has the lowest price for this item. Despite being the first comparison I've documented, I'm surprised Costco had the lowest price. My assumption has always been that items with a long shelf-life are best suited for the online marketplace. Items on Costco shelves need to be constantly sold to free up more shelf space. In this case, Costco is the clear winner on price. Amazon's prices weren't far behind and Jet had the highest prices. I'll be adding Nature's Bakery Fig Bars to this week's Costco shopping list. The result of price comparisons on popular consumer products between Amazon, Costco, and Jet. Prices can vary depending on zip code, time of year, and coupons. However, these posts still offer the baseline on a known low price.